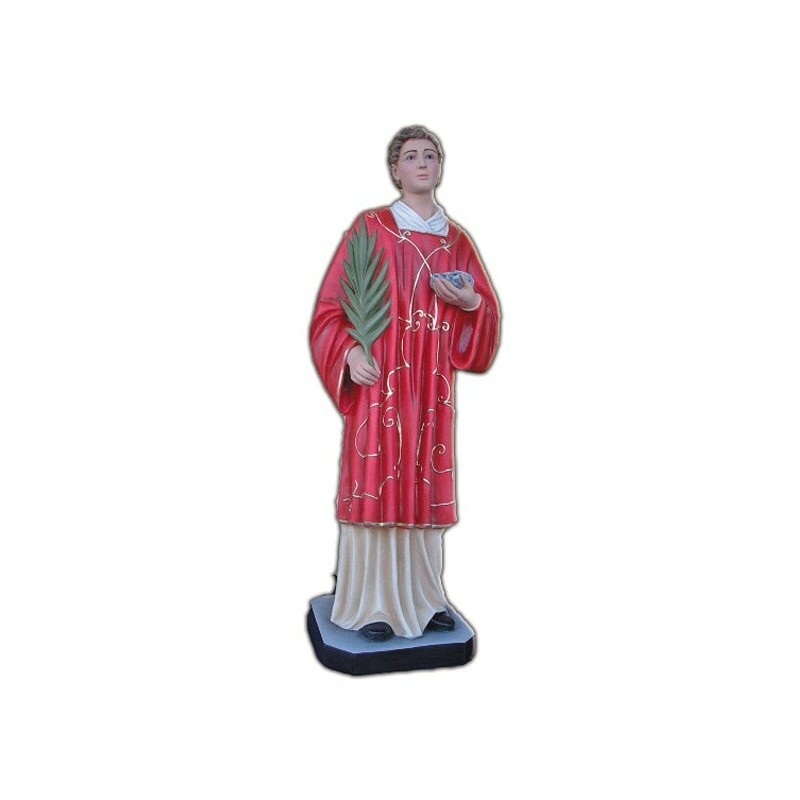 Statue of Saint Stephen of 110 cm. Statue of Saint Stephen 110 cm of fiberglass, handmade in Italy. Saint Stephen was a deacon and the first martyr of the Christianity. He is commemorated on the 26th of December. He died around 35. He was a disciple “full of faith and of Holy Ghost”, he was elected by the Apostles as the first of the seven deacons. He was the first of the God’s disciples who poured his blood in Jerusalem. He was stoned while he was praying for his persecutors. Saint Paul was present at his last prayer and at his martyrdom. 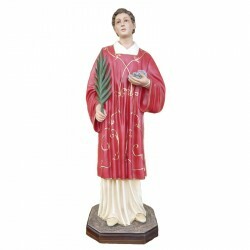 He is illustrated with the surplice and the red dalmatic, with the palmo f the martyrdom and a book with some stones. He is the patron of the stonecutters (?) and of the bricklayers. He is the protector of the suffering for the gallstone.